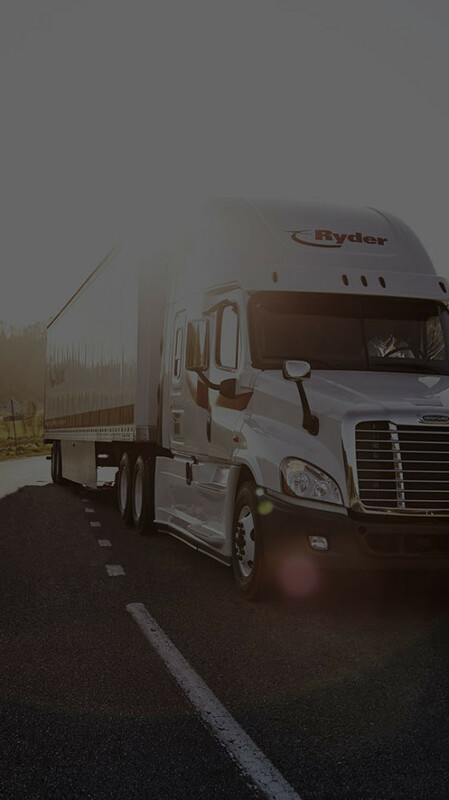 As a Ryder customer, you already know the value of partnering with a transportation expert that focuses on your fleet so you have more time for your business. Now, we can offer you the full visibility into your fleet operations to achieve maximum uptime. 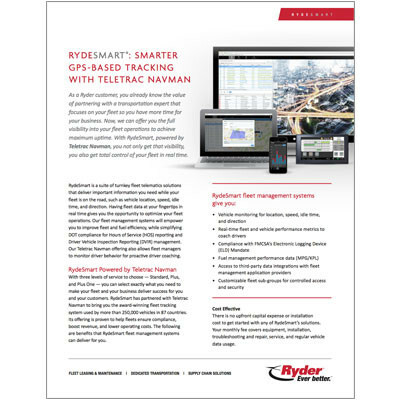 With RydeSmart, powered by Teletrac Navman, you not only get that visibility, you also get total control of your fleet in real time. With three levels of service to choose — Standard, Plus, and Plus One — you can select exactly what you need to make your fleet and your business deliver success for you and your customers. RydeSmart has partnered with Teletrac Navman to bring you the award-winning fleet tracking system used by more than 250,000 vehicles in 87 countries. Its offering is proven to help fleets ensure compliance, boost revenue, and lower operating costs. The following are benefits that RydeSmart fleet management systems can deliver for you.